Walter Blair was a back-up catcher for the New York Highlanders during the first decade of the team’s existence. After playing college ball at Bucknell and spending a couple of seasons in the minors, New York signed him in 1907 to back up their starting receiver at the time, Red Kleinow. By then, the native of Landrus, Pennsylvania was 23-years-old and had developed solid defensive skills behind the plate and a sharp mind for the game. His problem was he couldn’t hit. It was his offensive inabilities that doomed his one attempt at becoming New York’s starting catcher. In 1911, then manager, Hal Chase pretty much alternated Blair and 22-year-old Jeff Sweeney behind the plate the entire season. Sweeney hit just .231 and still outhit Blair by close to 40 points. That performance ended Blair’s Highlander and big league career. He went back to the Minors for two seasons and then played in the upstart Federal League for a couple of more. He found he had a knack for helping young ballplayers develop their skills and got into managing and even purchased an interest in a minor league team back in his home state of Pennsylvania. 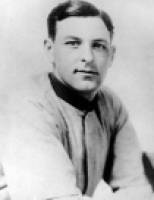 Then in 1917, he took over as the coach of the University of Pittsburgh’s baseball team. Three years later, he moved into the same position for his alma mater, Bucknell. He passed away in 1948 at the age of 64. He shares his October 13th birthday with this former Yankee manager, this former Yankee backup catcher , this former Yankee reliever and this former Yankee outfielder. Tim Raines, Lou Piniella, Hector Lopez, Bob Cerv, Irv Noren, the great Yankee teams of the past had well-known fourth outfielders who usually could have started for most other big league teams of their era. Back in the days of the great Yankee Murderer’s Row teams of the roaring twenties, it was Ben Paschal who filled that role for New York. A farm boy from Alabama, Paschal signed on with a class D minor league team as a nineteen-year-old. He played well enough immediately to then get signed to a short-term contract by the Cleveland Indians and appear in his first nine big league games that same year. He didn’t stick with Cleveland and returned to the minors the following season. It took him five more years to reappear in the majors, this time with the Red Sox. He did much better for Boston, hitting .357 in a nine-game September call-up during the 1920 season. But again he didn’t stick and it would take him another 4 seasons of minor league play to get back to the big dance. This time it was another September call-up and Paschal was now wearing the uniform of the New York Yankees. 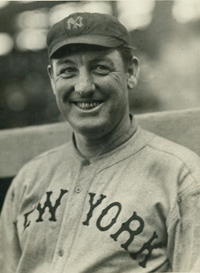 He went 3-for-3 in his debut for manager Miller Huggins’ team and performed impressively enough to earn an invite to the club’s training camp the following spring. The Yankees were auditioning for a new starting center fielder that preseason and the competition pitted Paschal against another southern farm boy named Earle Combs. Huggins gave the job to Combs but liked Paschal’s effort enough to keep him on the roster too. It proved to be a brilliant move. The outfielder’s first full season as a Yankee coincided with Babe Ruth’s “big belly ache,” which in actuality was a complete physical and mental breakdown caused by the “Bambino’s” punishing physical excesses off the field. Ruth’s illness gave Paschal the opportunity to get into 89 games during that 1925 season and he made the most of it by hitting 12 home runs, driving in 59 and averaging a robust .360. He spent the next three seasons ably subbing for Ruth, Combs, and Long Bob Meusel and putting together batting averages of .287, .317 and .316. But when he slumped to just .208 in 1929, the Yankees decided to not offer him another contract. By then, Paschal had tuned 33 years old.He did continue to play very well for quite a few years back in the minors. The truth was that he had signed with the wrong team, one with two Hall-of-Famers already starting in the outfield and a third who many have argued should also have been voted into Cooperstown. 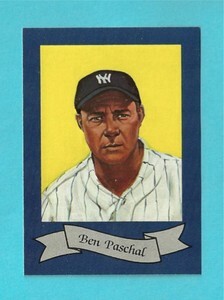 So Paschal’s .309 lifetime average as a Yankee was overlooked and never fully appreciated. He shares his October 13th birthday with this former Yankee manager, this former Yankee backup catcher , this former Yankee reliever and this long-ago Highlander catcher. When Jacob Rupert and a man named Tillinghast L’Hommidieu Huston purchased the New York City American Baseball League franchise in 1915 for $1.25 million, the team they bought was a pretty horrible one. At the time, the Yankees were coming off their fourth consecutive losing season and had no home stadium. They were sharing the Polo Grounds with the mighty New York Giants of John McGraw and of course the struggling Yankees’ public image suffered even more by the close proximity comparison. Detroit finally released him in 1912 and Donovan signed on to pitch with Providence that same year and was named the team’s player manager the following season. In his first season as Yankee skipper, New York finished 69-83. Wild Bill even took to the mound that year and earned three of those losses himself. By 1916, the investments in new talent made by Rupert and Huston began paying dividends. With Wally Pipp now at first, Frank “Home Run” Baker at third and Bob Shawkey in the starting rotation, Donovan’s Yankees improved to an 80-74 record and more importantly, almost doubled the attendance at the team’s home games. Expectations were sky high as the 1917 season approached but the Yankees regressed. Injuries and off years by Shawkey and Pipp helped New york finish in sixth place with a 71-82 record and in the process end Wild Bill’s career as a Yankee Manager. Rupert, who had become much more actively involved in the team’s operations than his co-owner, liked Donovan personally but he was convinced his team needed a new skipper. When Miller Huggins was fired as Manager of the Cardinals, the Colonel snapped him up and fired Wild Bill. Donovan’s second big league managerial position was an even bigger disaster, when he was hired to manage the Phillies in 1921 and was fired that same year after the team got off to a horrid 25-62 start. Instead of giving up, Donovan returned to managing in the minors. That proved to be a great decision on his part, when after a couple of successful seasons managing in the Eastern League, he was about to become the Washington Senators’ new skipper. That’s when tragedy struck. He was on his way to Baseball’s 1924 Winter Meetings being held in Chicago, when his train crashed and Donovan, along with nine others were killed. Donovan shares his October 13th birthday with a former Yankee outfielder, a former Yankee catcher, a former Highlander catcher and a former Yankee reliever. When the late Ralph Houk was a Yankee catcher in the late forties and early fifties, his job was to backup Charley Silvera. The problem for Houk was that it was Silvera’s job to back up a young and durable Yogi Berra. Back in the early fifties, Berra would catch between 140 and 150 games per year and that was when the Yankees only played 154-game regular seasons, so Silvera saw very little action and Houk was pretty much just a figment of Casey Stengel’s imagination. Silvera was born on this date in 1924, in San Francisco. During his nine seasons as Berra’s backup, he appeared in 201 games, but got to start in less than half of those. He won six World Series rings during his nine seasons with New York but appeared in just one game of one Fall Classic. That was 1949, when the receiver nicknamed “Swede,” caught seven innings of the Yankee’s second-game, 1-0 defeat at the hands of Brooklyn’s Preacher Roe. Still, Silvera’s share of World Series winnings exceeded $46,000 during his career. 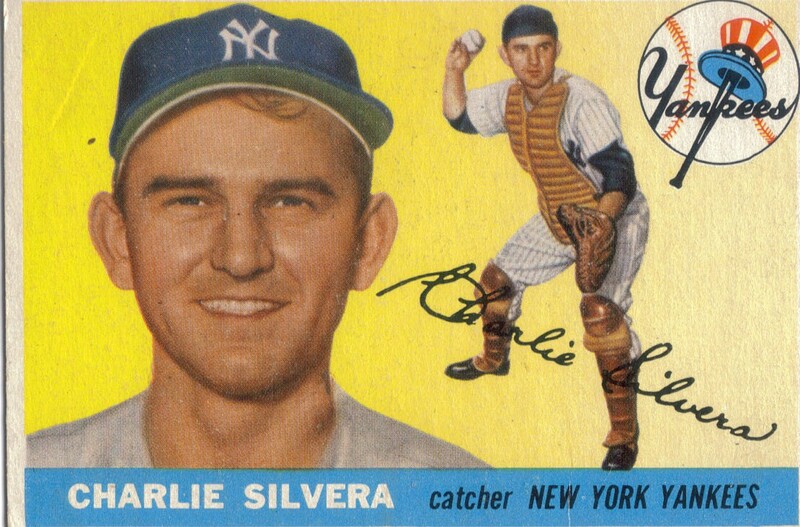 Silvera finally got a chance to start when the Yankees traded him to the Cubs after the 1956 season, for Chicago’s catcher, Harry Chiti. Unfortunately for Silvera, he broke his leg early in the 1957 season and never played another game. As you might imagine, Silvera was not a big fan of Stengel. He always thought Casey cared more about himself than he did the team. Charley loved teammate Billy Martin, who promised Silvera that if he ever became a manager he’d hire Silvera as a coach and he did just that when Martin got the Twins job in 1969. Also born on this date was this former Yankee reliever who lost three games in the 1981 World Series, this former Yankee manager, this long-ago Yankee outfielder and this Highlander catcher. Even though the 1981 Yankees made it to the World Series, the majority of Yankee fans old enough to remember that team will tell you it was a horrible year to be a Yankee and baseball fan. The regular season was split by a strike and the only reason New York made the postseason was they had their Division’s lead when the players walked off the job on June 12 of that year. When they came back in August, already assured of a postseason spot because of their pre-strike division lead, the Yankees played horribly and finished fifth in their division’s second-half standings. 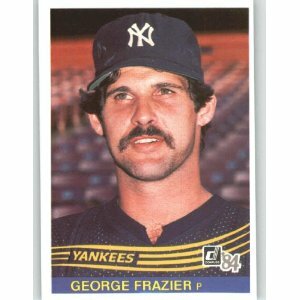 The Yankees had acquired the 6’5″ Frazier from the Cardinals that year and by the second half of that season, he was pitching a lot of effective baseball for New York and had joined Goose Gossage and Ron Davis to give the team a very strong bullpen. That bullpen pitched very well in both the ALDS and ALCS as the New York advanced to the World Series against the Dodgers. Then, after winning the first two games at Yankee Stadium, the series shifted to Los Angeles, where the Yankees lost three straight one-run games with Frazier on the losing end of the first two of those decisions. He then also got the “L” in the Dodgers’ 9-2 Game-6 blowout victory back in New York. That disastrous year ended with the Yankees decision not to re-sign Reggie Jackson and George Steinbrenner publicly ridiculing Jackson’s heir apparent, Dave Winfield, for choking in the postseason. Frazier spent two more seasons in the Yankee bullpen before being traded to Cleveland. He will forever be remembered as the Yankee pitcher who lost three games in the same World Series. Frazier shares his October 13th birthday with this former Yankee manager, this former New York backup catcher, this long-ago Yankee outfielder and this even longer-ago Highlander catcher.